Our goats are predominantly rangeland goats, which are characteristically lean and tasty. Main cooking method: Ideal for pan frying or BBQ. Also suitable for stir-fries. Suitable for roasting and can used in slow cooked wet dishes. Can be used for slow roasting or diced for wet dishes, casseroles and curries. 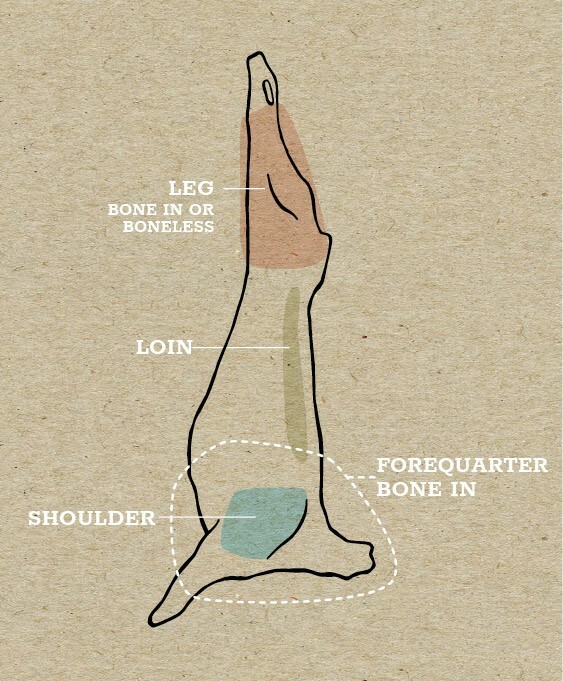 The shoulder needs longer and slower cooking than the leg. Used for wet dishes such as casseroles and curries. Hard to beat for fullness of flavour. Ideal for pan frying, pasta sauce and rissoles.  As a lean meat, open range goat can dry out quickly at high heat, stripping it of flavour and tenderness. Turn down the heat and cook it more slowly to lock in flavour and ensure a smooth, tender finish for the meat. Bring the meat to room temperature before cooking it. oil, before searing for one minute each side per cm thickness and then cook to medium rare. 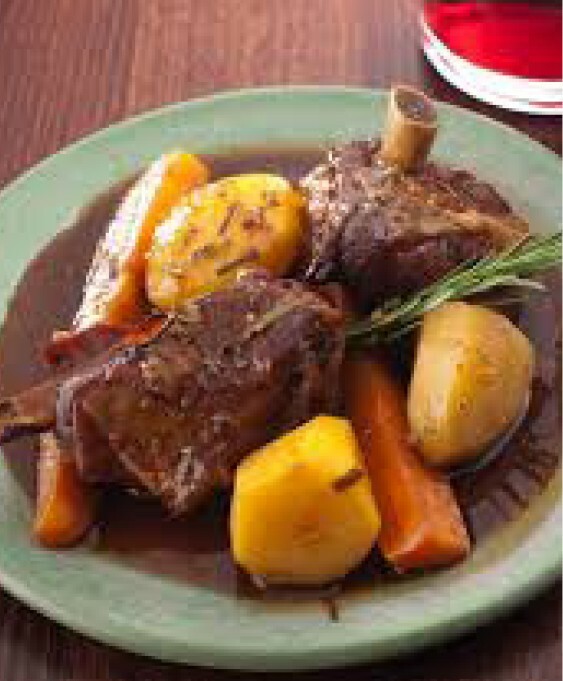 Goat meat is more tender and flavourful if it is cooked slowly. Rushing to whip up a meal will leave you with a tougher end product, and it also increases the chances that you’ll dry out the meat. After cooking, let your goat rest, covered. Steaks should rest two to five minutes, while a roast should rest about fifteen minutes before serving.